Dry sandy or rocky ground, especially in aspen, oak, and/or jack pine savanna, often with bracken; does well after fire, and is often found on banks, in clearings, or on bluffs where there is some disturbance. This attractive but often overlooked native species does not really twine, although the erect stem may twist a little toward the tip. 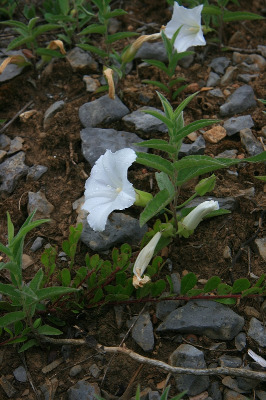 The white flowers are (4–) 4.5–6.5 (–7.2) cm long, borne only on the non-twisted lower part of the stem, and the petioles are very short compared to those of the twining species (and C. macounii). MICHIGAN FLORA ONLINE. A. A. Reznicek, E. G. Voss, & B. S. Walters. February 2011. University of Michigan. Web. 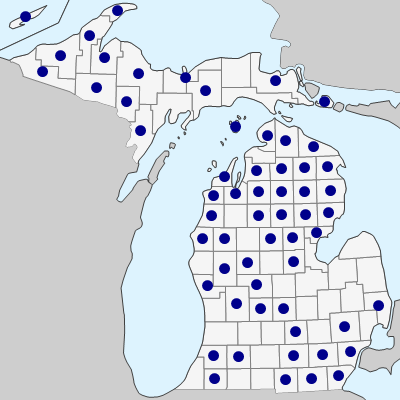 April 21, 2019. https://michiganflora.net/species.aspx?id=848.